Last week I made our favorite fish dish, Tilapia with Strawberry and Avocado Salsa, and had two big pieces of tilapia left over. Two nights later, I was feeling cranky and hungry so I just fried those suckers up. Since I’m always broiling and roasting, sautéing and grilling, I forgot how good fried fish is! 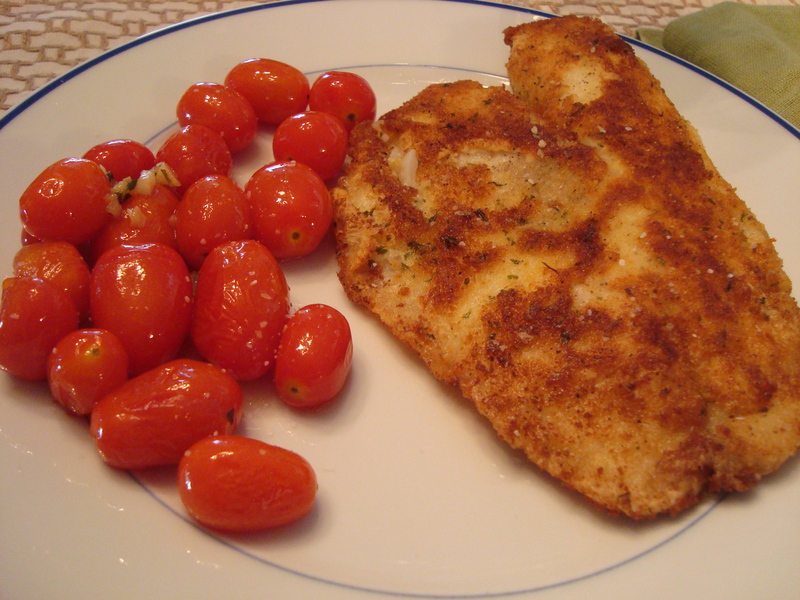 For two servings of fish, you’ll need two large fillets or four small ones. Set up three shallow pans or dinner plates for the different steps of breading. In one pan, lightly whisk two eggs with a tablespoon of water. In another pan put three-quarters of a cup of flour. In the third, three-quarters of a cup of Italian seasoned bread crumbs. 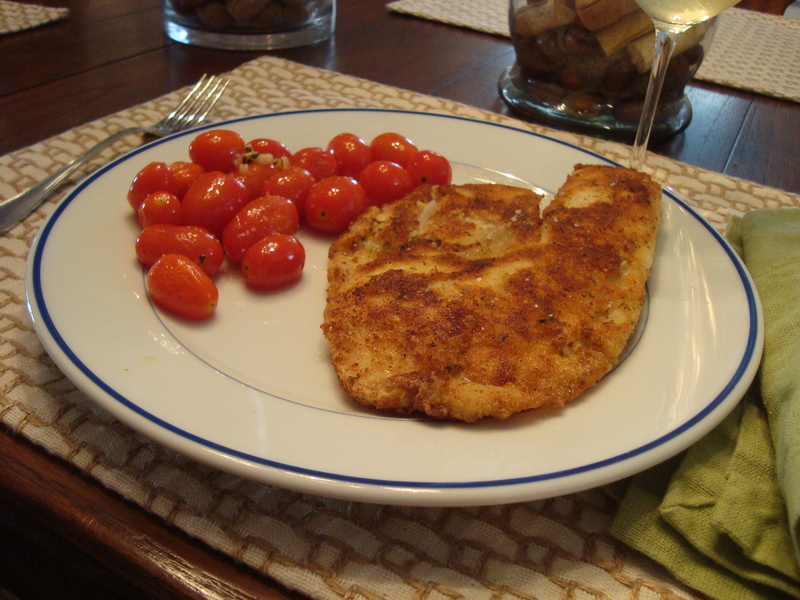 If you only have plain bread crumbs, season your flour with dry or fresh herbs, salt and pepper. In a large fry pan, heat two to three tablespoons of vegetable oil over medium heat. While the oil heats, rinse and dry the fish and generously season it with salt and pepper. Dredge the fish in the flour, then the egg, then the bread crumbs and carefully place it in the pan. Depending on the thickness of the fish, let it cook for about three minutes on each side. The breading should be golden and crunchy looking. Smaller fillets probably only need two minutes on each side. Let the fish sit for a minute on some paper towels to absorb any excess oil. Sprinkle it with some lemon juice and serve with tartar sauce, mayonnaise, ketchup, whatever you like! I made a side of herbed cherry tomatoes – they go with everything and take ten minutes from start to finish. Enjoy! PS Those are my new placements from Crate and Barrel – nice, right? ?